Africa has always been at the top of my travel ‘to-do’ list. Something inside me was whispering that it was a place that I was bound to love and funnily enough, that little voice inside me was right. 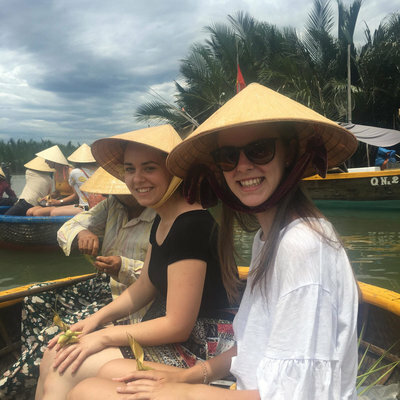 With six months to spare between completing my Bachelor of Nursing and commencing employment as a paediatric new graduate nurse back home in Australia I was keen to get jet-setting – and Africa was at the top of my list. 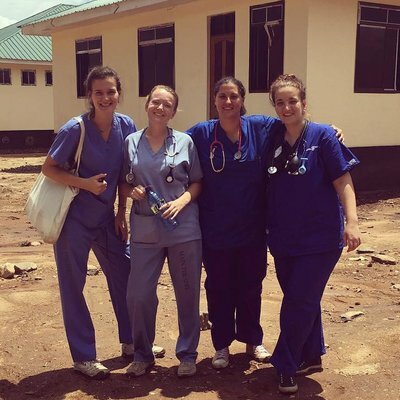 After volunteering in a local health clinic in Siem Reap, Cambodia, I knew that I wanted more experience with healthcare in the developing world. I knew I wanted to experience the healthcare system in Africa but wasn’t sure how to go about it. However, when I came across Work the World I knew I’d found the perfect way to experience nursing in African hospitals. The Work the World staff were incredibly helpful, right down to the last detail. They answered all my questions promptly and catered to each of my requests, helping me organise a placement that suited my interests exactly. 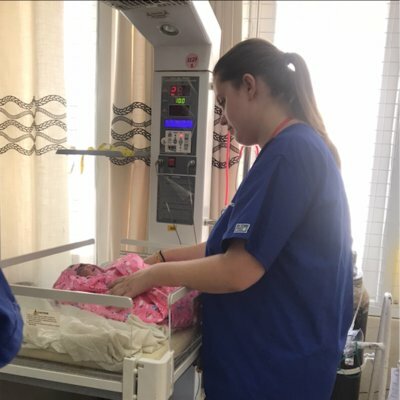 I chose to spend three weeks in the Paediatric department of the national referral hospital and two weeks in obstetrics and gynaecology in a smaller district hospital in Dar es Salaam. I’d highly recommend splitting a placement in Dar between these two as the differences are striking. The government tertiary referral hospital is an enormous campus, encompassing facilities for every medical condition imaginable – from a methadone clinic to a paediatric oncology service, an emergency department serviced by ambulances to a busy surgical department. The paediatrics service is housed in a stand-alone hospital on the campus and treats everything from burns and cancer to malnutrition and diarrhoea. As well as being frequented by Work the World students, the hospital hosts their own medical students. As Work the World students, we were lucky enough to build wonderful friendships, not only with each other but also with Tanzanian students. The district hospital is a different story altogether. Located in a peripheral suburb of Dar, the dala dala trip there takes you through two massive shanty towns and a booming local market selling everything from produce to second hand clothing and huge piles of shoes made of rubber tires. The area seems far removed from the very comfortable Work the World home in Oyster Bay, but it's a fascinating journey. Unlike the larger hospital, this one is very basic, with some of the wards built from holey fibro with no glass in the windows. For anyone interested in a placement that is off the beaten track - this hospital is it! In between placement, Dar – and the rest of Tanzania – has a lot to offer. We spent a weekend on safari in the Serengeti with Arusha students, took a long weekend in Zanzibar (where we met yet more Arusha students – as well as other healthcare students from all over the world) and spent many weekends at the various beaches to the north and south of Dar, which are easily accessible by dala dala, barge or boat. After work we spent many afternoons enjoying iced coffees and ice cream by the waterfront, visiting local markets, having cocktails and watching the sunset. We even made a regular habit of going to the outdoor cinema at the German cultural centre each week to watch a film with many other locals and expats whilst enjoying a Serengeti beer! If you are unsure about undertaking your elective in Tanzania – don’t hesitate, Go! Work the World offers the perfect balance between experiencing a developing country and it’s healthcare system and living comfortably and safely." Cold showers don’t take much getting used to in the beautiful, warm Dar climate (power cuts though are another story altogether!) and the swimming pool is the perfect way to unwind at the end of a busy day (or after a sticky dala dala ride to the beat of Swahili radio). The Tanzanian people are incredibly warm and friendly. I’ve never felt more welcome than I have with the wonderful Tanzanian friends I made who wanted to make me feel at home in their beautiful country.